At independence Tsholotsho was a poor African reserve, a piece of land whose main characteristic was unbelievable poverty of the citizens, its citizens relying on hand-pump boreholes and water from river beds, pans and ponds, its citizens were using the bush to relieve themselves, and no single factory was found anywhere in the district on that single most important date in Zimbabwe, the 18th of April 1980. In this paper I mean to show some of the things that President Mugabe's government has done in Tsholotsho in terms of development since independence. In this way I shall be showing that the propaganda about him having done nothing or very little in Matabeleland compared to Mashonaland is nothing but a myth, a myth meant to make Ndebeles and Shonas hate each other, fight each other whilst British and other Western countries' companies are looting the country's resources and exploiting our people whom they employ and through selling to them expensive goods manufactured in Western countries using our cheap raw materials. And I am one of those who will fight anybody who wants to use tribalism against the people of Zimbabwe ' we as Zimbabweans have no alternative but to fight the imperialists and their local black puppets, our people just cannot be divided along tribal Iines. After all, they live together, they inter-marry and they love each other. Just look at the people in Bulawayo, they come from all over the country and they marry each other as naturally as the sun rises and sets daily. The people of Bulawayo do not want to live in fear and suspicion of each other, a husband fearing his wife and vice-versa simply because each comes from another tribe. And where does that leave the children? All I am saying is ' let the imperialists and their local puppets leave the people alone, we cannot allow our homes to be turned into prisons by selfish non-performing, non-delivering little politicians who are on the payroll of imperialism and white racism so that they prevent Zimbabwe from achieving economic independence like the US did after liberating itself from British colonialism. Let it be borne in mind as well that Tsholotsho as at December 2010 had a population that stood at 129 597. At independence the population was obviously smaller than that. (a) Number of Schools at Independence. At independence Tsholotsho had 73 primary schools. The oldest primary school in Tsholotsho is Mathe Primary (south-east of Tsholotsho), which was founded in 1910. The second oldest is Dikili Primary built in 1914; followed by Mvudlana Primary which was built in 1916; and then came Tshabanda Primary which was built in 1917. These were all built or founded by different Christian denominations, they therefore were also centres of spreading Christianity among the Africans. The last primary school built before independence is Siphongweni Primary School north of Tsholotsho. It was built in 1973. At independence Tsholotsho had one secondary school, Tsholotsho Secondary, now Tsholotsho High. It was commissioned in 1977, and it was an F2 school. It is about 2km south-west of Tsholotsho town. At independence, therefore, Tsholotsho had a total of 74 schools, only one of which was a secondary school. (b) Schools Built After Independence. After independence 10 primary schools were commissioned in Tsholotsho. The year 1981 saw three schools being commissioned and these were Jakalasi Primary, Mtshayeli Primary and Nata Primary. 1982 also saw three primary schools being commissioned, and these were Dogwe Primary, Madabu Primary and Mazibisa Primary. Then came St Joseph's Primary and Thetshaneni Primary in 2001. After that came Sydney Malunga Primary in 2004 and Horton Primary in 2006. These 10 primary schools translate to one primary school per 13 000 people if we use the December 2010 Tsholotsho population figures. After independence 23 secondary schools were commissioned. The year 1981 saw three secondary schools commissioned, and these were Bhubhude Secondary, Dikili High and Sipepa High. In 1984 seven secondary schools were commissioned, these were Dinyane High, Dlamini High, Kapane Secondary, Khumbula High, Mpanedziba Secondary, Nemane (SDA) High and Tshabanda High. In 1985, two (2) secondary schools were commissioned, and these were Jimila and Samahuru. Only one secondary school was built in 1986 and this was Tshitatshawa. In 1988, four secondary schools were commissioned, and these were Dibutibu, Mavela, Sikente and Zibungululu. Only one secondary school was commissioned in 2001, and this was Mathula.` The year 2005 gave three secondary schools, namely Mate, Magama and Nembe. In 2006 only Manqe Secondary School was commissioned, and this was built by Dr John Landa Nkomo, who is now one of the two Vice-Presidents of the Republic of Zimbabwe and one of the two Vice-Presidents and second secretaries of Zanu-PF. The last secondary school was commissioned in 2009, and that is Ngamo. On average, therefore, up to 2009 (that is, in a period of 29 years) Tsholotsho district almost saw one secondary school being built per year, mathematically the figure is 0,8 of a secondary school was built per year between 1980 and 2009. The 23 secondary schools translate to one secondary school per 5 635 people in Tsholotsho if we use the December 2010 Tsholotsho population figure of 129 597. As we have seen, seven of the 23 secondary schools are high schools, that is, they have A-Level as well. There was no A-Level school in Tsholotsho before independence; only an F2 secondary school was there. At independence the whole of Tsholotsho did not have Zesa electricity supplies. Therefore, there was no school that had electricity. Tsholotsho Town (or centre) only received Zesa electricity supply lines in 1991 after President Mugabe himself personally directed it to be so. Zesa electricity lines are now found at Nkunzi, Tshabanda, Tshefunye, Sipepa, Mbamba, Dikili, Dinyane, Mhlabangubo, Chief Gampu's village, Magama, Mvundlana, Nhlangano, Mcetshwa, Sawudweni, Mathuphula, Tshino, Madona, Mathe, Dombo, Nembe/Mkhubazi, Zibungululu, Mbalibali, Bhubhude, Mbuthe and Manqe. What this means is that all the schools at or near these places or centres either are already connected to Zesa or can be connected depending on whether they have completed the necessary tubing of their classrooms, laboratories or teachers' cottages. Such schools include the following primary schools: Mvundlana, Dombo, Nembe, Mkhubazi, Sipepa, Mcetshwa, Magama, Mahlaba, Gwaai, Siphongweni, Mhlabangubo, Dinyane, Matshudula Soluswe, Mbalibali, Nhlangano, Mathe, Tshabanda, Tshefunye, Dikili and Manqe. All in all we are talking about 21 primary schools, i.e. a quarter of the primary schools in Tsholotsho. The secondary schools are: Tsholotsho High, Mavela Secondary, Bhubhude Secondary, Dikili High, Dinyane High, Mathe Secondary, Manqe Secondary, Zibungululu Secondary, Magama Secondary, Nembe Secondary, Sipepa High and Tshabanda High. This is a total of 12 secondary schools, that is, more than half the secondary schools in the whole district. Tsholotsho High has two laboratories, one for O-Level science, and one for A-Level science. These laboratories were built and equipped through my assistance when I was the Member of Parliament from 1995 to 2000 when Mr Pedzisa was the school head. Mavela Secondary has an O-Level science laboratory. Again this laboratory was built through my assistance when I was Tsholotsho MP. Miss Siziba was the school head, she still is. Sipepa High is another school with a science laboratory. There were no computers in any school in Tsholotsho at independence. In any case, there was no Zesa electricity in Tsholotsho before independence. The first school to have computers in Tsholotsho was Tsholotsho High. I sourced the computers from the Belgian Embassy when I was still the local MP with Mr Pedzisa as the school head. Now many more secondary schools have computers, all of them donated by President Robert Mugabe. The schools are Bhubhude, Dikili, Dinyane, Dlamini, Kapane, Mathe, Sikente, Sipepa, Tshabanda, Khumbula, Magama and Mavela. In other words, 13, or 57 percent of the secondary schools in Tsholotsho have computers. Because of the seven high schools in Tsholotsho, Tsholotsho district is now also a catchment area for universities all over Zimbabwe, but specifically for the universities in the Matabeleland region, that is, closer to home. The universities and other institutions that offer degree educational training in Matabeleland are the National University of Science and Technology (NUST), the Lupane State University (LSU), Solusi University, the Bulawayo Polytechnic and the Zimbabwe Open University (ZOU). NUST, LSU, the Bulawayo Poly and ZOU, as we all know, are State universities and colleges, they belong to the Government of Zimbabwe, they are national property therefore. Solusi University belongs to the Seventh-Day Adventist Church (SDA), my mother's church. Like all universities, Solusi could neither be founded nor built without authority from the Government of Zimbabwe, it is the Government that granted the SDAs the charter to start a university. In a little way, I assisted Professor Norman Maphosa and the church in their being granted the charter when I was still Deputy Secretary to the late Vice-President Dr Joshua Nkomo, back then. In other words, Solusi University too is our university even if the headquarters of its church are in the United States of America; and it is our national asset even if it is not a State university. After all, we all created it through our national Government in Harare led by President Robert Mugabe. Again, because of the high schools in Tsholotsho, Tsholotsho is also a catchment area for universities outside the country. These include the University of South Africa (Unisa) and the University of Botswana. But it is not only universities that absorb Tsholotsho A-Level graduates. Other tertiary institutions locally and abroad take these graduates. 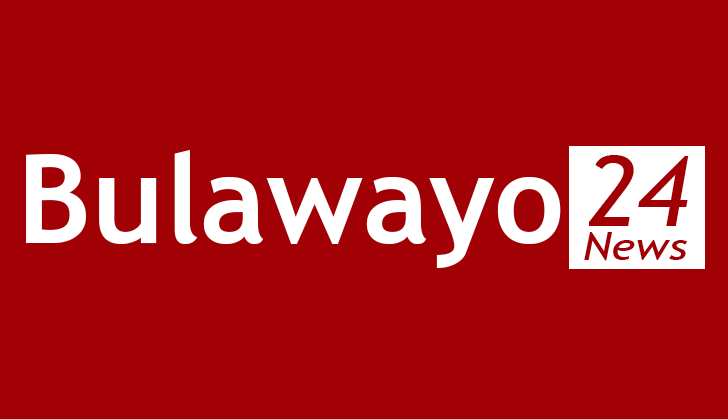 Such institutions in Matabeleland alone include the Bulawayo Polytechnic, the School of Hospitality and Tourism in Bulawayo, and Hillside Teachers' College. And Tsholotsho A-Level graduates can qualify to enter any other local university or institution that offers degrees or any other course that require Advanced Level passes. Let us remember that the A-Level schools in Tsholotsho also offer places for Tsholotsho's O-Level graduates to further their academic studies. Tsholotsho's secondary schools are also a catchment area for schools outside Tsholotsho that offer A-Level studies. In addition, the schools are also catchment centres for tertiary institutions, like nurse training schools, polytechnics and teachers' training colleges. The schools produce graduates that receive technical training at private companies, and parastatals, the School of Mines, Government departments and local authorities, etc. Since independence quite a number of NGOs have assisted in the construction of new classroom blocks, toilets, administration blocks and staff quarters. One example of such an NGO is Plan International that has assisted schools all the way from Nkunzi and into the interior of Tsholotsho. Again these NGOs could not do this very good work without Government approval; they were assisting the Government of Zimbabwe, and they were first approved and registered by the Government for them to operate or offer their services to the people. At independence there were only three clinics in Tsholotsho. These were Kunzi Rural Health Centre commissioned in 1971 (a council clinic); Madlangombe Rural Health Centre commissioned in 1974 (a council clinic); and Dlamini Rural Health Centre commissioned in 1974 (yet another council clinic). When independence finally came in April 1980, Tsholotsho had three hospitals. These were Tsholotsho Rural Hospital (a Government hospital commissioned in 1925); Sipepa Rural Hospital (a Government hospital which was originally a clinic until 1958); and Phumula Mission Hospital (a Brethren In Christ Church hospital commissioned in 1957). In other words, at independence Tsholotsho had only six health centres. In 1984 Jimila Rural Health Centre (a council clinic) was commissioned. 1985 saw Sodaka Rural Health Centre (a council clinic), Mlagisa Rural Health Centre (a council clinic) and Makhaza Rural Health Centre (a council clinic) being commissioned. The next clinic to be built was Mtshayeli Rural Health Centre (a council clinic) which was commissioned in 1988. I assisted in having the clinic connected to PTC telephone lines. In 1991 Bhubhude Rural Health Centre (a council clinic) was commissioned. Then came in 2000 Kapane Rural Health Centre (a council clinic) was commissioned; as MP I assisted in the completion of the building of the clinic and in connecting it to the PTC telephone lines, it was connected at the same time as Mtshayeli Clinic from Sipepa Business Centre. In 1998 Tsholotsho Urban Clinic was commissioned. I assisted in the construction of this clinic as the local MP. This is a council clinic. In 2001 Sikente Rural Health Centre and Mpanedziba Rural Health Centre (both council clinics) were commissioned. As MP I assisted in the construction of the two clinics as well as in the acquisition of the water engines and the design and laying of the piped water schemes for the two clinics. The water scheme at Sikente Clinic also benefited Sikente Primary School, the borehole was at the school grounds, not very far from the headmaster's offices, Artwell Mabhena from Magama/Ngqoya village was the headmaster at the time. In 2009 Bemba Rural Health Centre was commissioned. This is yet another council clinic. As MP I actually assisted in the digging of the clinic foundation, and together with Zinwa designed the piped system from across the Bemba-Sodaka-Tsholotsho road, the system was supposed to serve Bemba Primary School and the Bemba homesteads and those of other neighbouring villages. The following clinics are yet to be commissioned: (a) Tshefunye Rural Health Centre (some of the initial building materials, including bricks, for the clinics were sourced through my assistance as Tsholotsho MP; this is a council clinic. I also assisted the clinic as well as Samawuru Primary School with the piped water scheme whose borehole was at the school's grounds and (c) Shaba Rural Health Centre, a council clinic, I also worked quite a bit for this clinic to be built together with the then ward councillor, Mrs Khumalo, the clinic is, in fact, going to be commissioned by Minister Sithembiso Nyoni on March 23 2011 at 10:00 am; Mrs Khumalo and I working with the Ward 16 people and people across the Manzamanyama River on the Plumtree side, led by Zinwa engineers and planners, pegged and designed the Shaba dam (with a wall 20m high and water going upstream up to 14 kilometres) to supply water to the communities, clinics, school and business centres in Ward 16 and in the neighbouring wards. By March 2011 Tshitatshawa Rural Health Centre (a council clinic) was at window level. The community together with me as the MP pushed hard for this clinic to be constructed at the business centre very near the primary and secondary schools, we worked together with then primary and secondary school heads, the secondary head then was Sicelo Mazibisa who now heads Tsholotsho High. As we can see, 15 of the 21, or 71 percent, hospitals and clinics in Tsholotsho were built and commissioned after independence. In other words, they were built by the Government of Prime Minister and President Robert Mugabe, we should not forget that local authorities are only a wing of central Government which decentralises some its functions through local authorities. Let us remember that even the NGOs (which include churches) and foreign embassies have assisted communities in Zimbabwe, and in Tsholotsho in particular, because the Government has approved the assistance as it falls within Government plans. Nothing happens in Zimbabwe without being part of Government plans, except if it is illegal, like the illegal economic sanctions imposed on the country by the West and illegal activities of some NGOs (like all those NGOs talking tribalism in Matabeleland). Even assistance from embassies to any country, is the assistance to the Government of Zimbabwe first and foremost. This assistance did not exist before independence anyway. The independence Government, Prime Minister and President Mugabe's Government, therefore, created the environment for the embassies to assist the communities. In fact, the embassies assist the communities only because they are implementing Government policies and plans, except when the embassies engage in illegal activities like forming and funding the MDC and many other NGOs that purport to be assisting the people when, in fact, their activities are meant to convince the people to remove President Mugabe and Zanu-PF from power.